Also known as Purple Boneset, Trumpet Weed, Joe Pye Weed, Gravel Root and Kidney Root, Queen of the Meadow is a clumping woodland plant that produces long, tapered leaves and large flower heads of mauve-colored blossoms. The herb is traditionally used to make tinctures and liquid extracts. active compounds Volatile oil, Fat, Wax, Yellow resin (eupatorine), Albuminoids, Lignin, Glucose, Calcium oxalate. appearance & aroma Fibrous with leafy components. cosmetic Infuse in oil or tincture in alcohol for use in salves, balms and liniments. 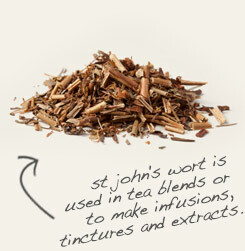 Combine Queen of the Meadow with St. John's wort in tinctures, salves and liniments for topical use. 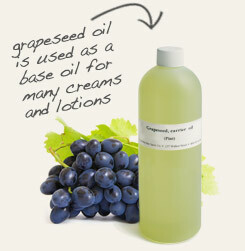 Infuse Queen of the Meadow in grapeseed oil for use in creams and lotions. Queen of the Meadow, also called trumpet weed, is a member of the aster family that occurs naturally in the moist woodlands of northeastern and central North America. It is easily recognized by its sweet-smelling, deep pink flower clusters that emerge atop tall stems that can reach up to 7 feet in height. 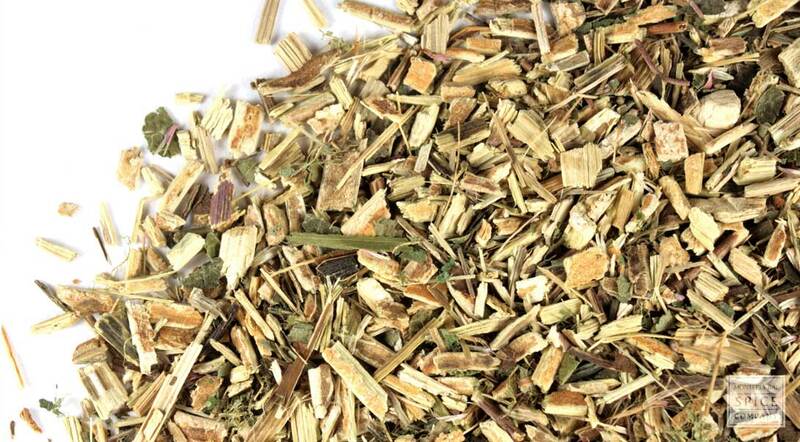 This herb is known by many other common names that indicate its historical use, such as gravel root and kidney root. The plant is also commonly known as Joe Pye weed, a name that honors a Native American medicine man who reputedly introduced the herb to the American colonists to help control typhus outbreaks. Background: The name Joe Pye weed is for a Native American man of the North East who used and applied the herb for its diaphoretic properties. Description: This herbaceous, perennial, has horizontal, woody caudex, with many long, dark-brown fibers, from which sprout one or more solid, glabrous, green, sometimes purplish stems, 5 or 6 feet in height, with a purple band at the joints, about an inch broad. Leaves are to 6 in., oblong-ovate or lanceolate, pointed, feather-veined, coarsely serrate, slightly scabrous, with a soft pubescence beneath along the mid-vein and veinlets, thin, soft, on petioles 1 in.long, and from 8-12 in. long, 4 in. wide. Flowers are tubular, purple or pink-purple, to whitish, with multiple florets included in an 8-leaved calyx. Heads are in lax, dense, compound cylindrical corymbs, 4 to 5 together in the form of whorl. It grows in swamps and other low places, in dry woods and meadows.